Flight tests are likely to begin this week on the proposed software fix for Boeing’s 737 MAX flight control system, and the company has invited airlines to order it pending formal approval from the Federal Aviation Administration (FAA). Boeing said Monday it is finalizing the proposed update. Some airline pilots flew 737 simulators with the updated system software in Renton on Saturday. Company spokesman Gordon Johndroe said the MAX software fix will be offered to airlines “free of charge” and will be released only after it is certified by the FAA. 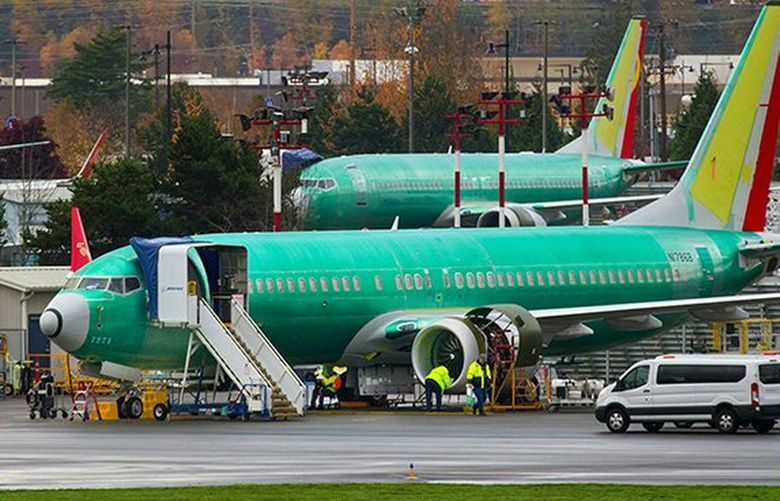 Meanwhile, the U.S. Department of Transportation (DOT) announced Monday the establishment of an expert “special committee” to review the FAA procedures for the certification of new aircraft, including the Boeing 737 MAX. Retired Air Force Gen. Darren McDew, former head of the U.S. Transportation Command, and Captain Lee Moak, former president of the Air Line Pilots Association, will serve as the interim co-chairs of the panel, pending the appointment of other members. Boeing has been working on the software fix since last November after it became clear that MCAS had been inadvertently triggered before the crash of Lion Air Flight 610 the previous month. Evidence pointing again at MCAS in the crash of Ethiopian Airlines Flight 302 this month resulted in the FAA’s March 13 order to ground the plane. On Saturday, Boeing held an information session for airlines and safety regulators in Renton to share details about the proposed software fix. The jetmaker said it also has invited more than 200 airline pilots, technical leaders and regulators for the next session in Renton on Wednesday. A person familiar with how Saturday’s session was conducted said it was “very hands-on.” Airline pilots were able to fly the MAX with the updated software patch in a simulator, and were asked for their feedback. As early as this week, Boeing is likely to start actual 737 MAX flight tests for the purpose of certifying the new software. MCAS is designed to push the nose of the airplane down in certain stall situations by swiveling the horizontal tail. It’s triggered by a signal from a sensor measuring the plane’s angle of attack, which is the angle between the wings and the air flow. The software fix will revamp how the system operates: One key change is that MCAS will be activated using input from both of the jet’s angle of attack sensors, rather than just one. The update will also ensure MCAS is not triggered multiple times, as it was in the Lion Air crash. And it is likely to limit the maximum nose-down movement that the system can produce. In addition to the software fix, Boeing has decided to include on the MAX, at no charge, two angle of attack indicators that were previously optional and available only at extra cost. A person familiar with Boeing’s plans to get the grounding of the MAX lifted said that a light that warns when the two angle of attack sensors disagree will become a standard feature on the MAX from now on. And for airlines that request it, Boeing will retrofit this warning light at no charge on previously delivered airplanes. In addition, Boeing will no longer charge airlines that choose an option to place the angle of attack data on the primary flight display. But it’s unclear if these changes and the MCAS software fix, even if certified, will be enough to lift the grounding of the Boeing jets. For instance, the airplane’s flight manuals and the pilot training protocols will also have to be updated. And the ongoing investigations into the two fatal jet crashes may bring other contributing factors to the surface.